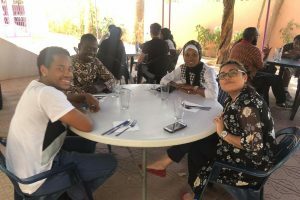 Twenty students representing a broad range of academic disciplines had intensive learning experience in the French-speaking West African nation. 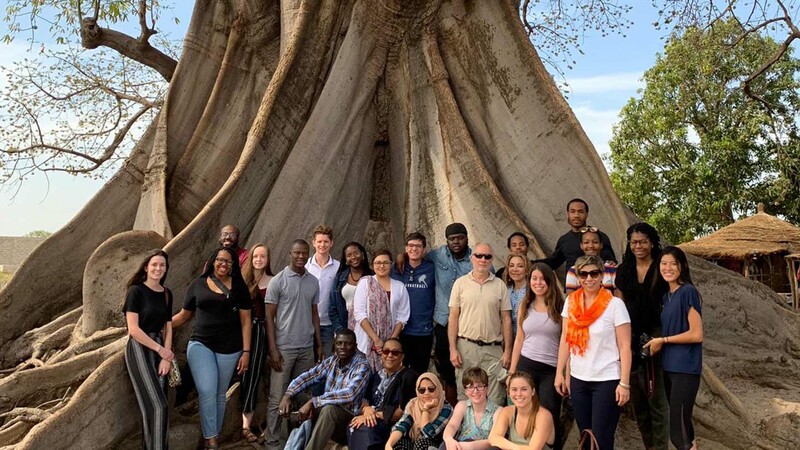 Led by Wendy Wilson-Fall, associate professor and chair of Africana studies, and Rachel Goshgarian, associate professor of history, the students explored Dakar, the capital city, where they also had classes at West African Research City. 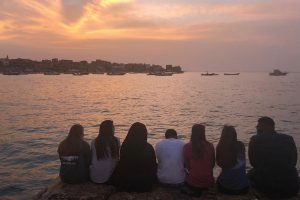 The group traveled to other towns as well, experiencing firsthand a region rich in cultural diversity, religious tolerance, and intellectual curiosity. 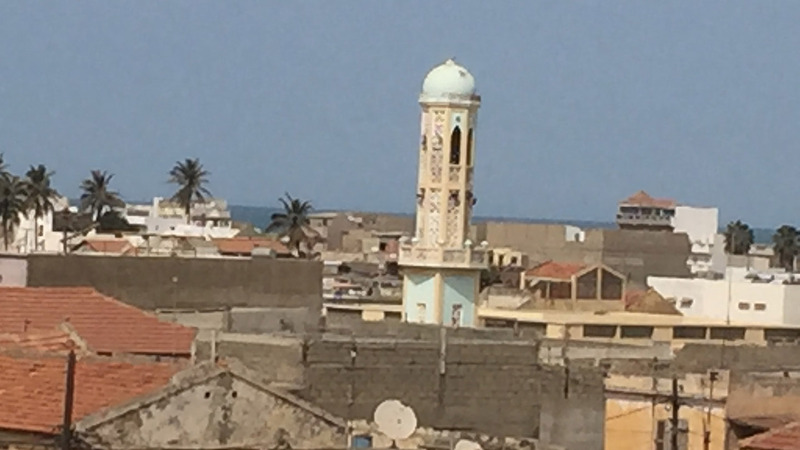 Located at what was once the nexus of the Saharan and Atlantic trade routes, Senegal prides itself on its political stability and its strong civic life since its independence from France in 1960. 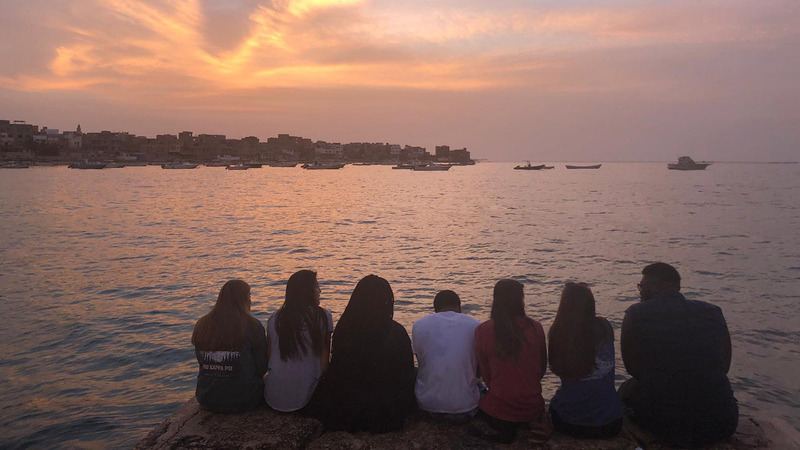 Students also engaged in some of the pressing issues facing Senegal, including lack of public funds for universities, rapid urbanization, and child beggars. Course objectives included learning about linkages of rural and urban economies in West Africa, Islam, and Christianity in Senegalese culture, the participation of women in public discourse in Senegal, and how pre-colonial, colonial, and post-colonial experiences shape contemporary life in West Africa. 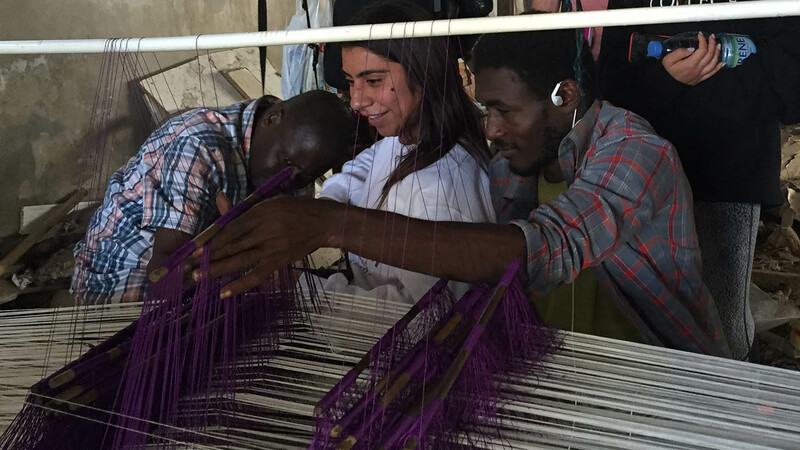 Students visited a weaving center supported by Caritas Senegal, a Catholic relief and aid organization. 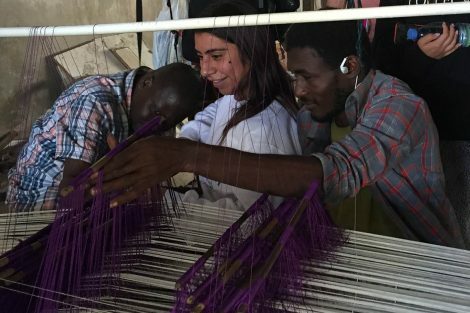 Here, they observe weavers from south Senegal using a traditional loom. The rooftop view from Rose House, an early 19th-century residence converted into a hotel, shows a mosque in Senegal’s Saint-Louis region. 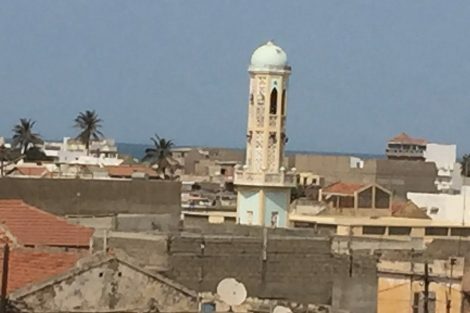 A Muslim-majority country whose first president was Catholic and an internationally renowned author, Senegal prides itself on religious tolerance and decades of peace and stability. 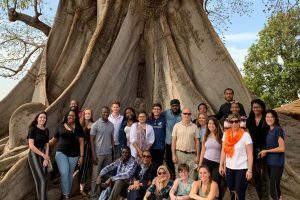 Students gather at an enormous silk cotton tree near Sokone. 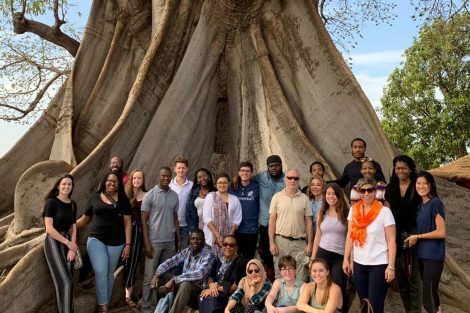 This species of tree is found throughout West Africa, and old trees like the one pictured can be several hundred years old. 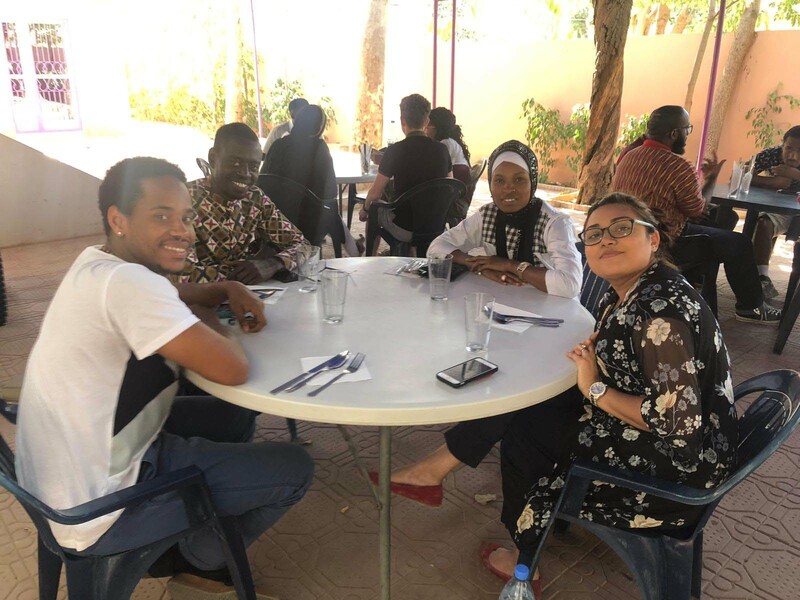 Students share lunch at West African Research Center with their counterparts from Cheikh Anta Diop University, also known as University of Dakar. Students and their hosts had lively discussions about differences in university experiences in their respective countries. Students look out over the ocean to the island of Ngor, Africa’s westernmost point, just off the coast of Dakar. 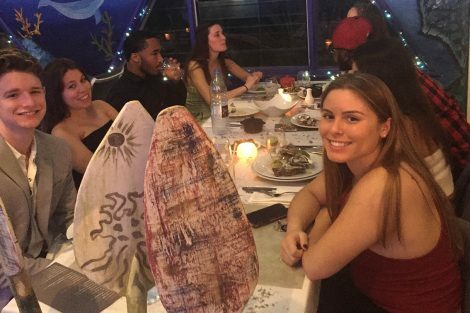 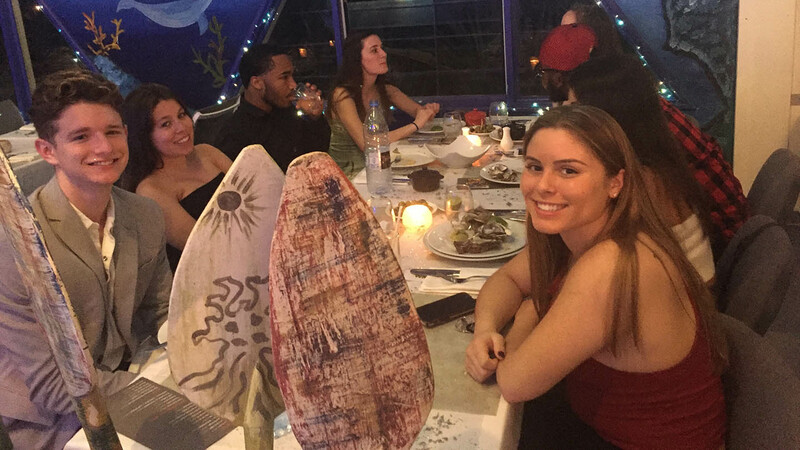 Students enjoy a meal at Hotel La Madrague, a small, private French-owned hotel in Dakar, the capital of Senegal in West Africa. Lafayette College has established a friendly relationship with the hotel as a result of repeat trips to Senegal.